Renault might not benefit from much exposure outside Europe, but it’s actually one of the world’s biggest EV producers. 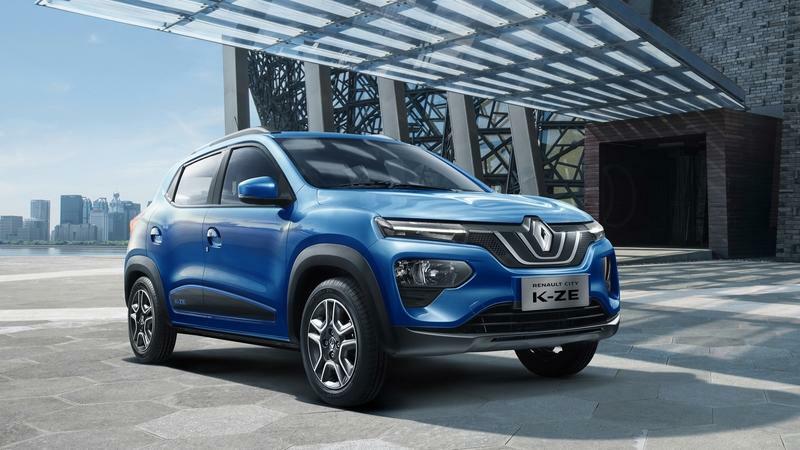 The K-ZE is its sixth electric vehicle and follows stand-alone like the Twizy and Zoe and electric versions of the Fluence and Kangoo, which are part of the Z.E. lineup. 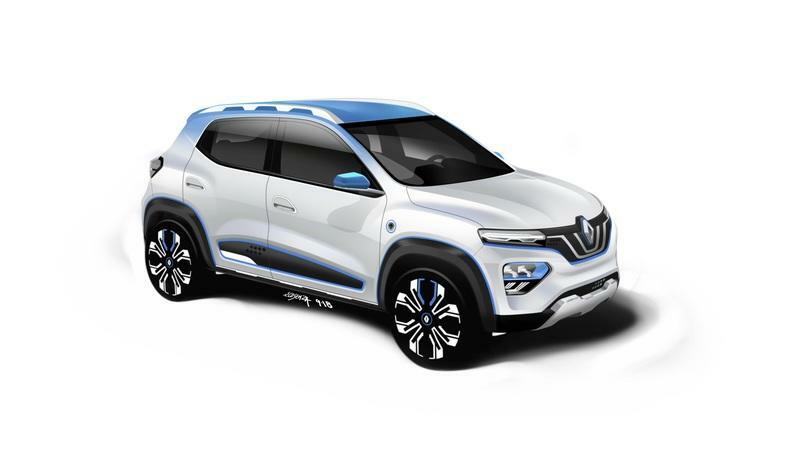 But the really big deal here is that the K-ZE is Renault’s first electric crossover. Granted, it’s tiny and it won’t be sold globally, but it marks Renault’s entry in the world’s fastest-growing EV market. Concepts are usually toned down for production, but Renault actually kept most of the features that define the show car. The headlamps and the lights in the bumper aren’t as fancy as on the concept and lack the blue accents, but the shape, size, and LED patterns are still there. More importantly, the grille is basically identical to the concept’s. The same goes for the profile, which boasts the same features minus the touch-sensitive door handles and the fancy wheels. The rear fascia also carries over from the concept car with minor changes to the taillights, which are simpler for cost-cutting purposes, and a revised lower tailgate. But although the concept arrived in 2018, the design isn’t actually new. The K-ZE is in fact based on the Kwid, a crossover that Renault began selling in India and Brazil in 2015. 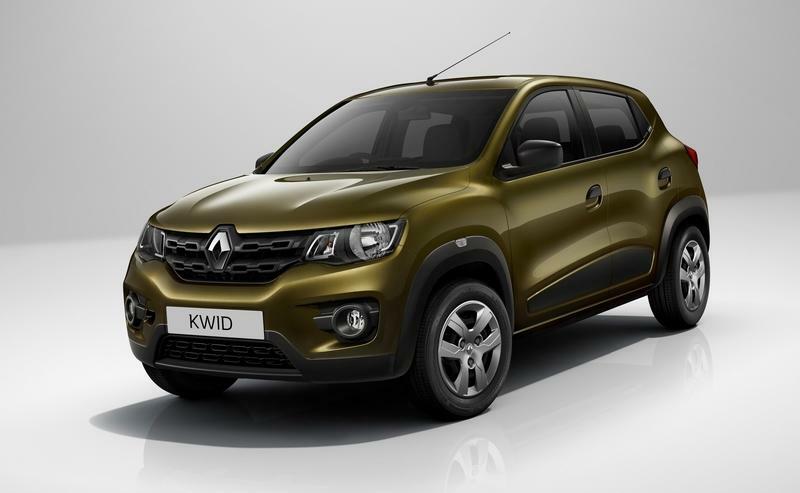 The Kwid looks very similar to the production Kwid, with slightly different lights and a vented front grille. More importantly, the Kwid doesn’t have an electric drivetrain, being powered by small-displacement gasoline engines instead. 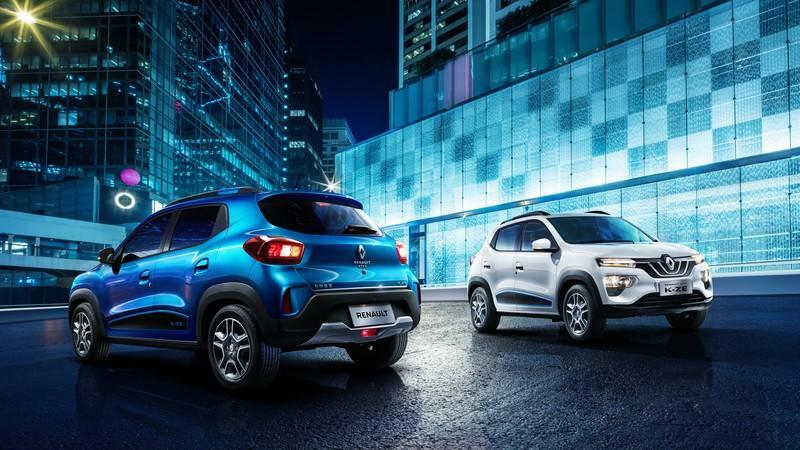 The Kwid will be discontinued in 2020. The K-ZE might be one of the smallest crossovers on the market, but it offers sufficient passenger room thanks to its 2,423-mm (95.4-inch wheelbase), a class-leading figure. More importantly, it comes with up to 300 liters (10.6 cubic feet) of luggage room, also superior to Asian competitors from Datsun, Tata, and Maruti. 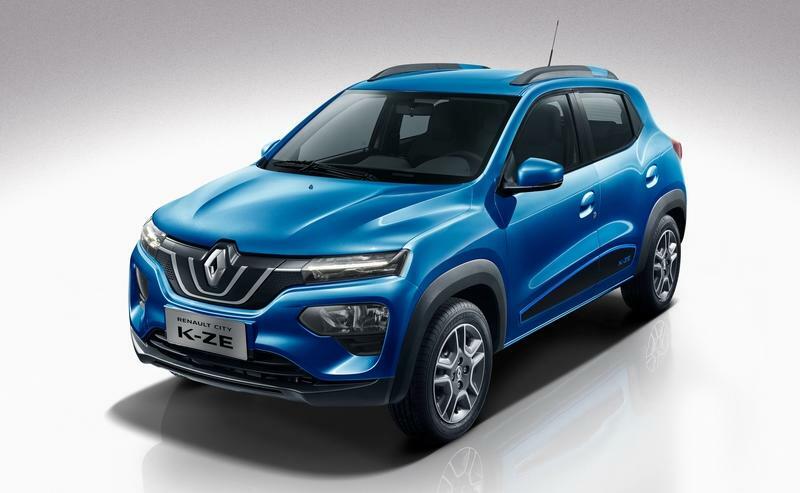 Unlike the Kwid, the K-ZE features an electric motor and a battery pack. 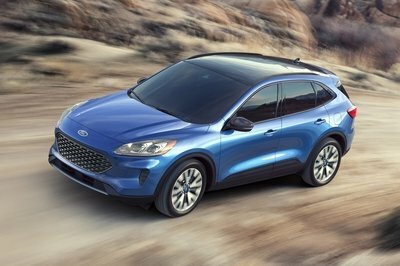 Final performance figures aren’t yet available, but the production model should return better mileage than the concept vehicle thanks to technological upgrades. The concept returns 250 km (or 155 miles) per single charge on the old NEDC standard, which translates to around 120 miles based on the new WLTP guidelines. 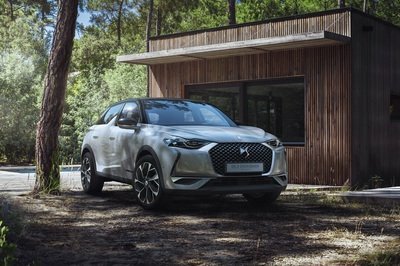 This is far from impressive compared to other electric vehicles on the market, but the revised motor and the new battery pack should boost that figure to around 150 miles. For a vehicle this size, it’s more than enough, especially if you’re using it in the city. The K-ZE’s charging system is compatible with both 220V domestic plugs and public chargers. A domestic plug will charge the battery in around four hours, but the fast charge function will fill the battery up to 80 percent in just 50 minutes. Despite the small size and likely affordable sticker, the K-ZE is no stranger to modern technology. 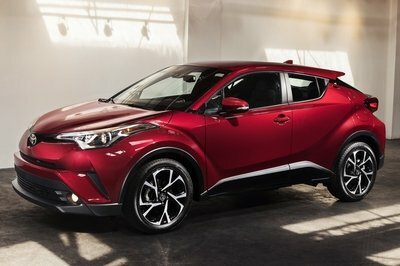 The crossover comes with an eight-inch touchscreen, the largest in this class, and remote control via a special app. It also has online navigation and real-time monitoring for the electric drivetrain. There’s also 4G WiFi, voice recognition, and an air quality control system. Mandatory in China’s polluted cities, this system enables evaluation of cabin air and automatic switching between interior and exterior air circulation. Read our full review on the 2018 Renault K-ZE Concept. 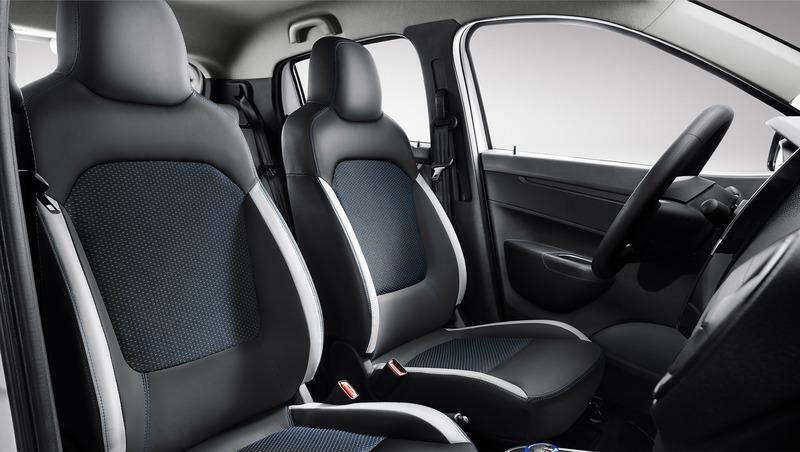 Read our full review on the 2015 Renault KWID. 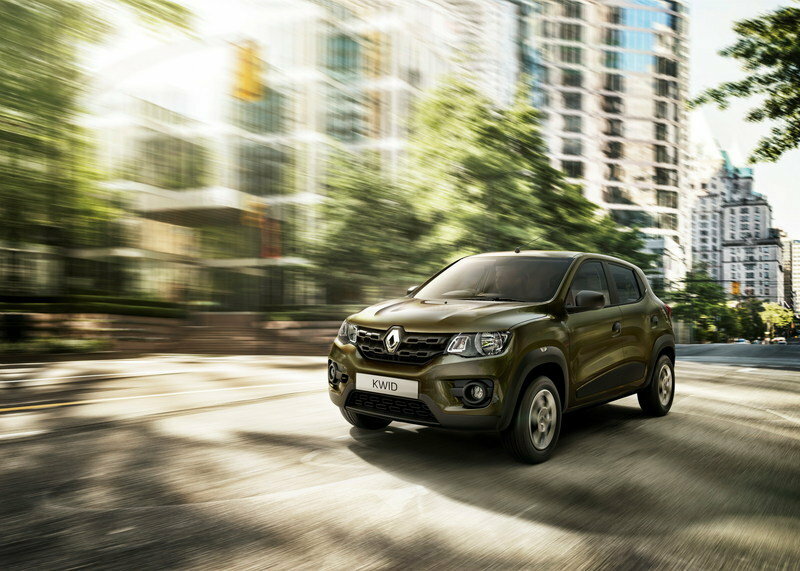 oday is an important milestone for Groupe Renault in China. 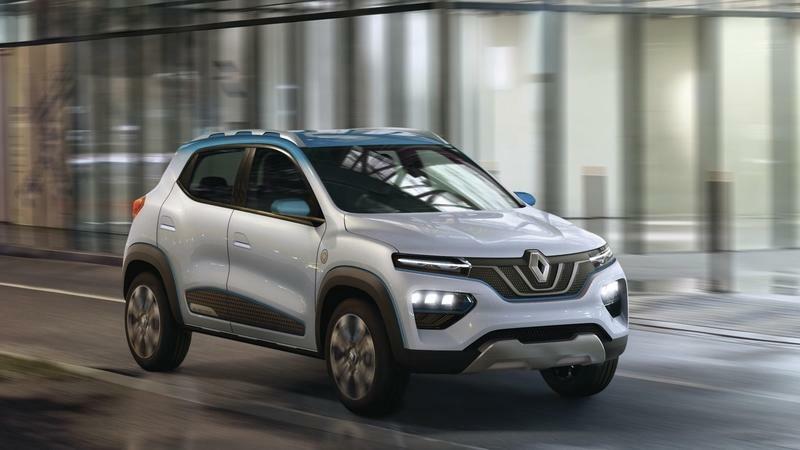 During a press conference (access to broadcast) at the Shanghai Motor Show, Thierry Bolloré, CEO of Groupe Renault, presented a clear road map and high ambitions for the Group in China by 2022: a target of 550,000 units sold per year – in line with the Drive the Future plan. 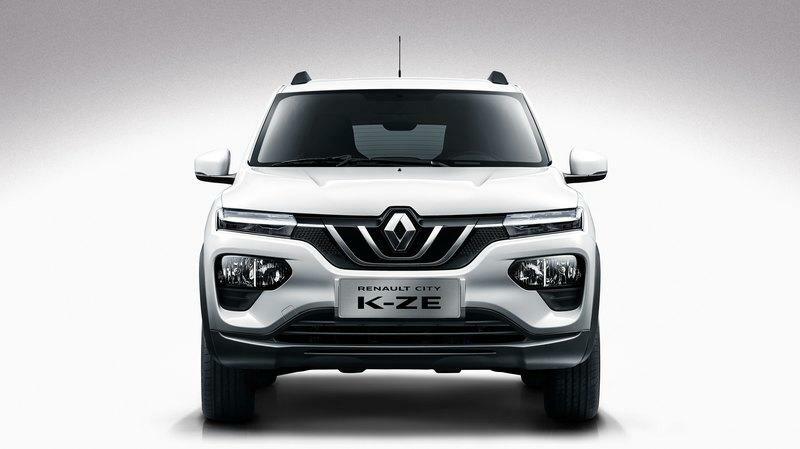 To realise this ambition, Groupe Renault is opening a new chapter of Renault’s history in China’s EV market with the presentation of Renault City K-ZE: a global A segment fully-electric urban vehicle with a SUV design. It is built in China to rigorous global quality standards. 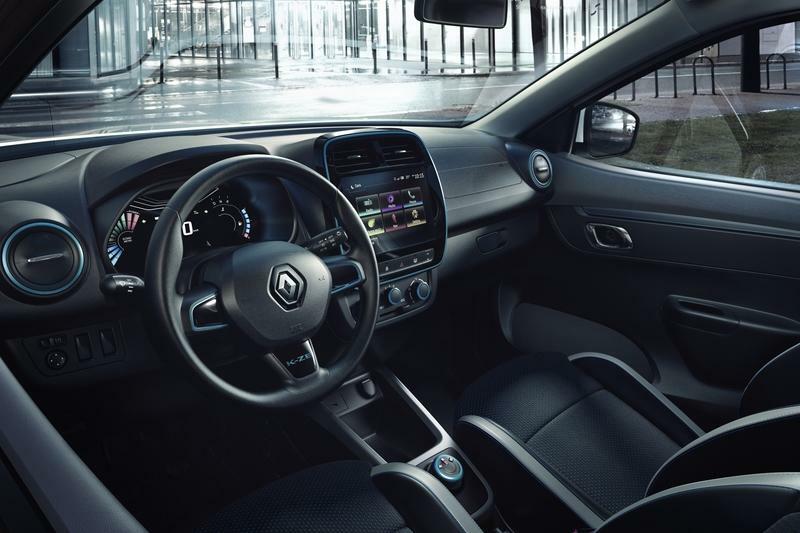 It adopts Renault’s advanced electric technology. 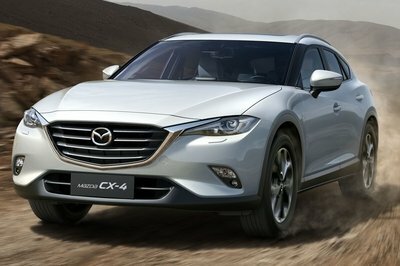 It provides an assured journey with safety features, such as Tyre Pressure Monitoring System (TPMS) and rear imaging.